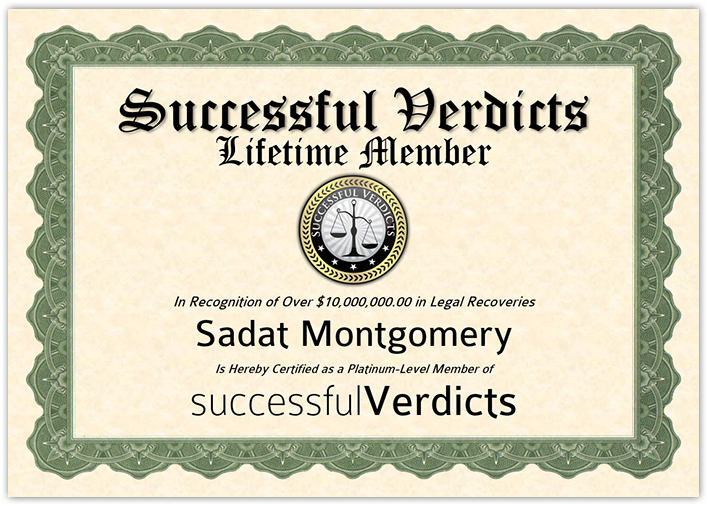 Mr. Sadat Montgomery is a SuccessfulVerdicts Platinum Member & Has Successfully Recovered Over $10 Million in Compensation for His Clients. Sadat Montgomery is a Dallas car accident lawyer who takes pride in not only getting his clients the compensation they deserve, but also in ensuring his clients receive the medical care they need following a serious injury. Sadat primarily handles personal injury and wrongful death cases, often resulting from car crashes, motorcycle wrecks, work accidents, defective products, slip and fall accidents, and more. After graduation, Sadat worked in the pharmaceutical industry with two multinational fortune 100 companies—Pfizer Pharmaceutical Corporation and Novartis Oncology—winning multiple national awards, before deciding to attend law school at the SMU Dedman School of Law in Dallas, Texas. While at SMU, he participated in moot court, mock trial, and gained practical experience as a student attorney in the SMU criminal defense clinic. Sadat was also very active on campus, serving as the President of the Black Law Students Association, and was even recognized by Dean John Attanasio for spearheading a visit to the United States Supreme Court in Washington D.C., in which he arranged for law students to observe oral arguments and participate in a Q & A session with Supreme Court justices. 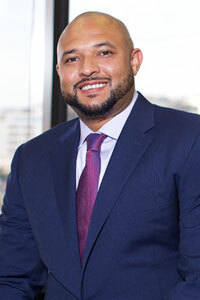 Upon receiving his Juris Doctor from SMU Dedman School of Law, Sadat founded Montgomery Law, PLLC with a focus on providing effective legal representation for personal injury and wrongful death victims in Texas. Sadat’s team of legal experts at Montgomery Law are available to help those injured across the Dallas-Fort Worth Metroplex, including Plano, Richardson, Frisco, Lewisville, Irving, Garland, Mesquite, Desoto, Duncanville, Denton, and surrounding areas. Call 214-720-6090 (local) or 1-833-720-6090 (toll-free) for a free consultation.